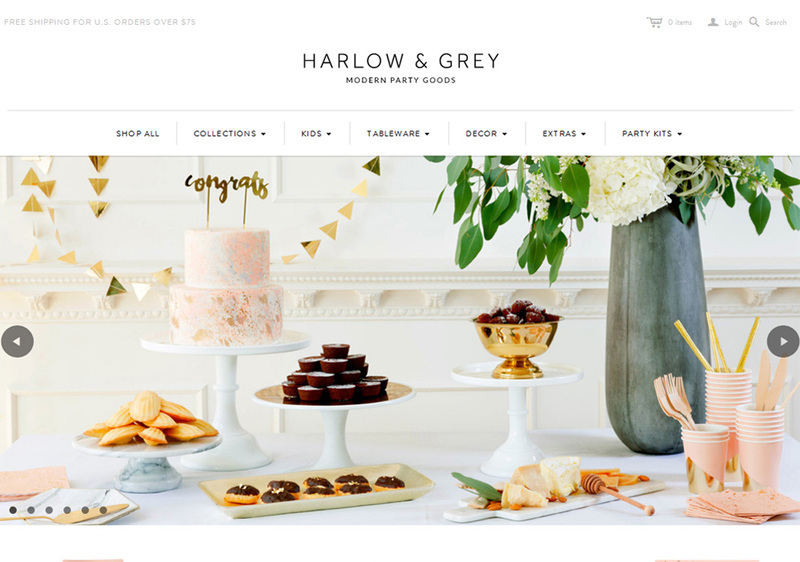 Based in San Francisco, Harlow & Grey sells modern, chic and disposable partyware. I served as a conduit for Jeanne & Gloria’s impeccable taste. 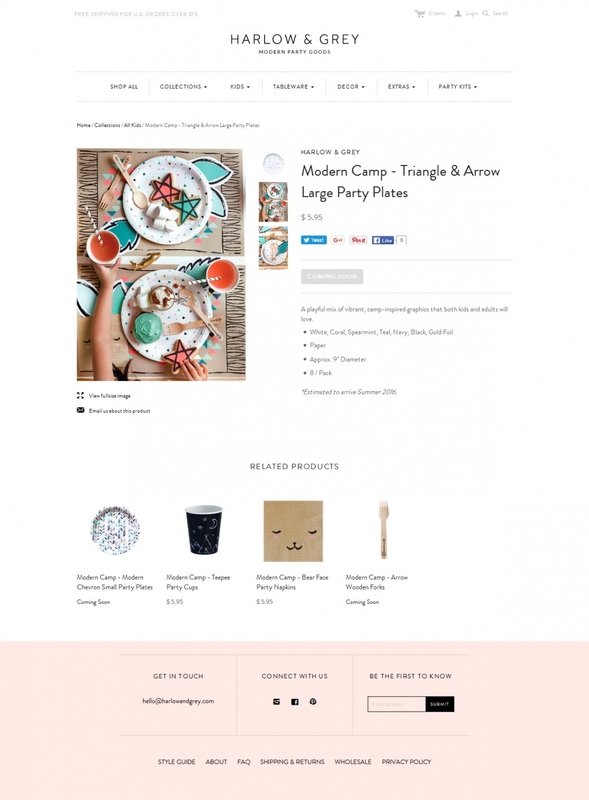 They provided me with a layout, fantastic lifestyle images and a platform ( Shopify ) to help them put together a shop for their modern party goods. 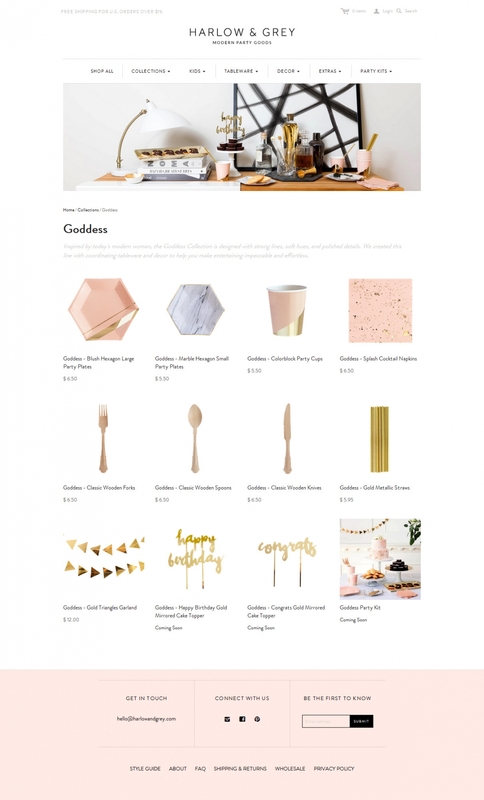 Of course we modified the initial Shopify template to include a few fancier touches like striking header images on each page. 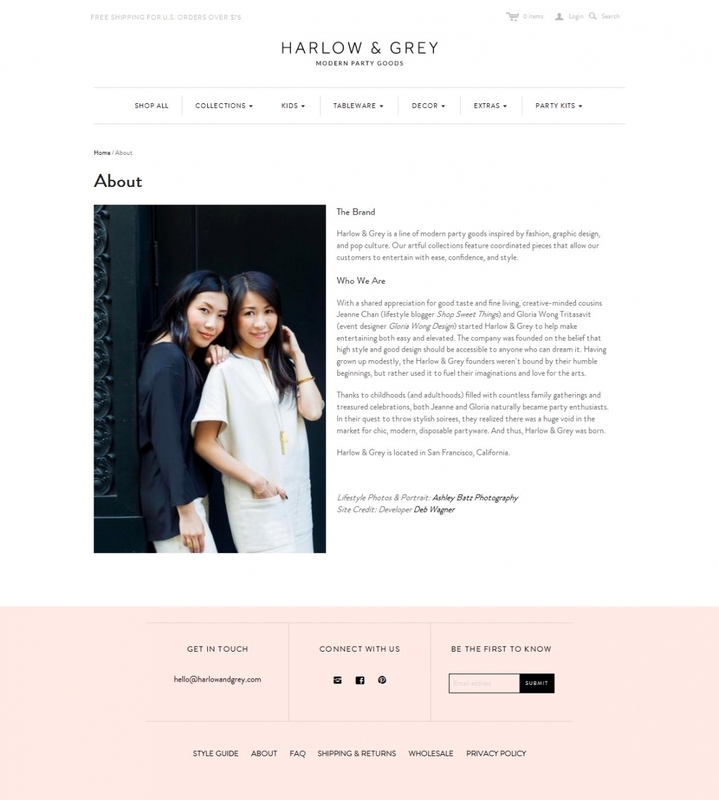 The blog functionality converted easily to their Style Guide and detailed drop-downs direct users quickly to H&G’s stylish collections. 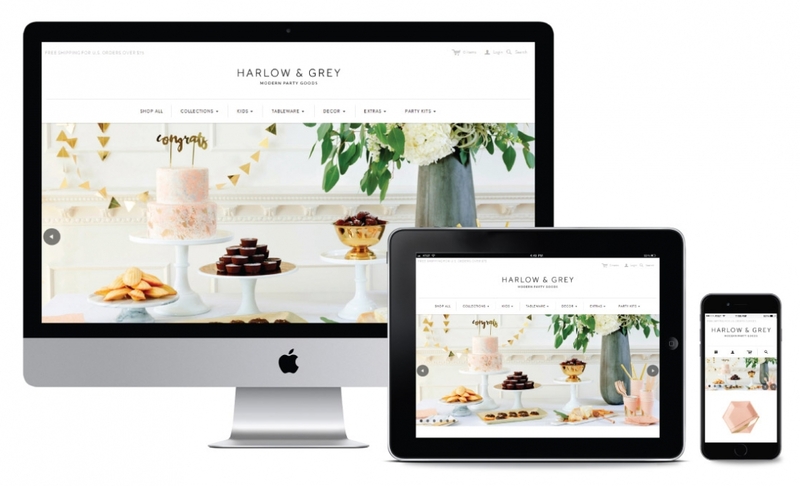 We had the pleasure of working with Deb on two separate projects; the redesign of Shop Sweet Things (shopsweetthings.com) and the launch of Harlow & Grey (harlowandgrey.com). As the developer of both projects, Deb exuded patience, professionalism, attention to detail, and expertise. 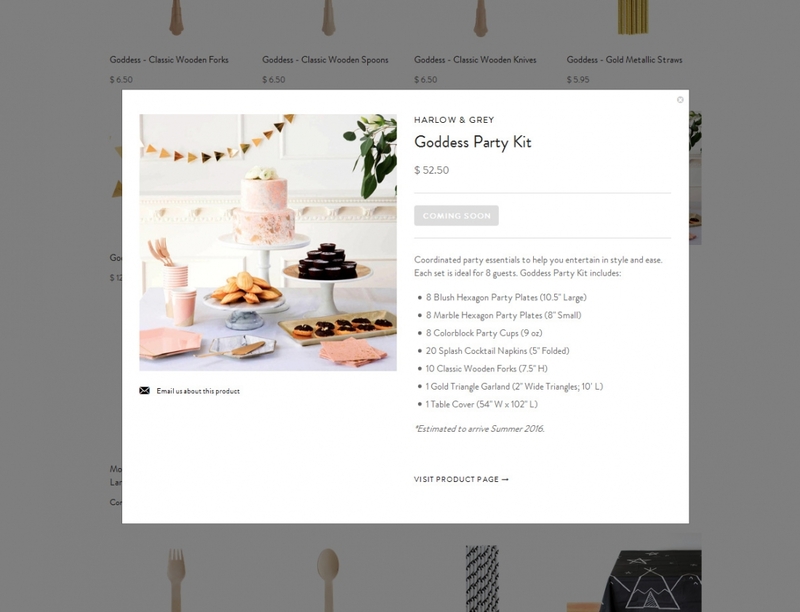 When Deb took on the redesign of Shop Sweet Things, she inherited a code base that was handled by 3 previous developers. 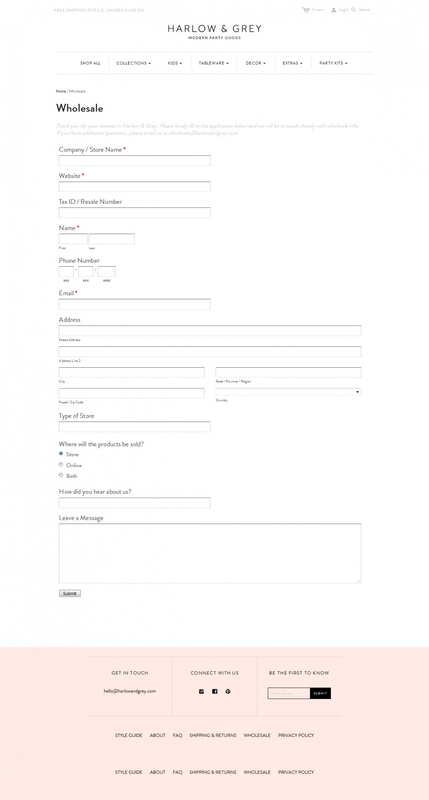 The code was difficult to modify and the site performance was incredibly slow. The project scope was simply to modify the design to a new modern look; however Deb took upon herself to address the messy challenge of cleaning the code for better performance. 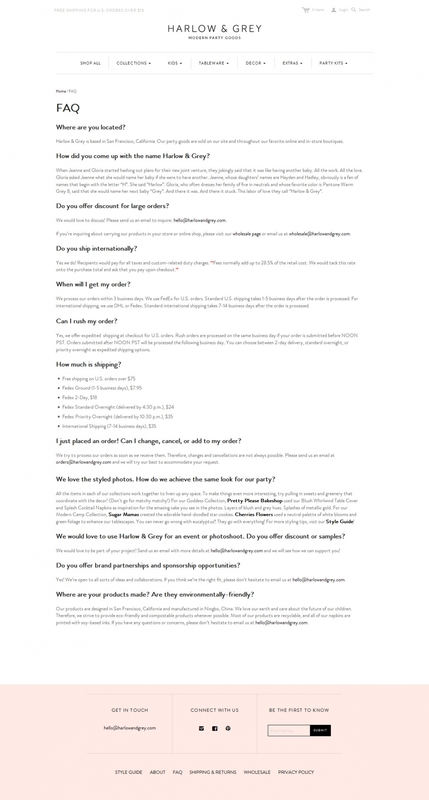 The outcome was a beautifully updated site with a faster load time. Needless to say, we were more than satisfied with Deb's effort. 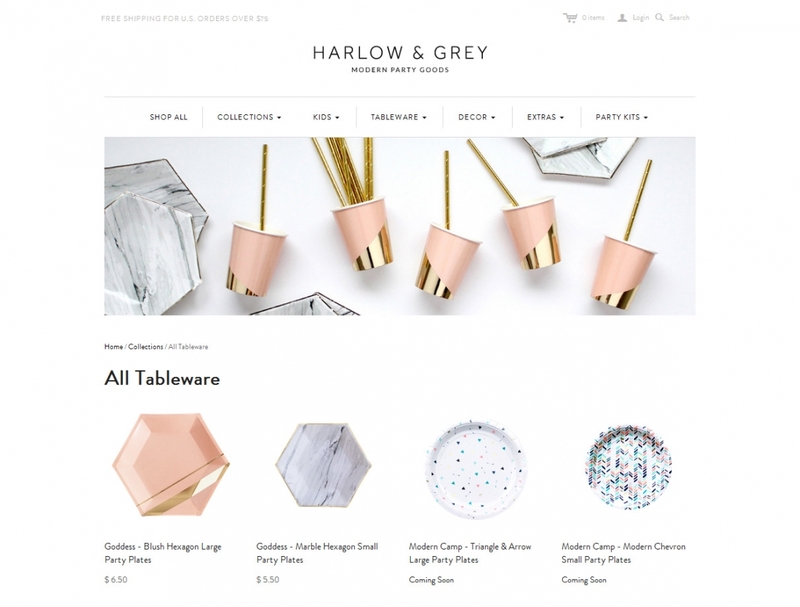 We also worked with Deb on a Shopify retail site, Harlow and Grey. 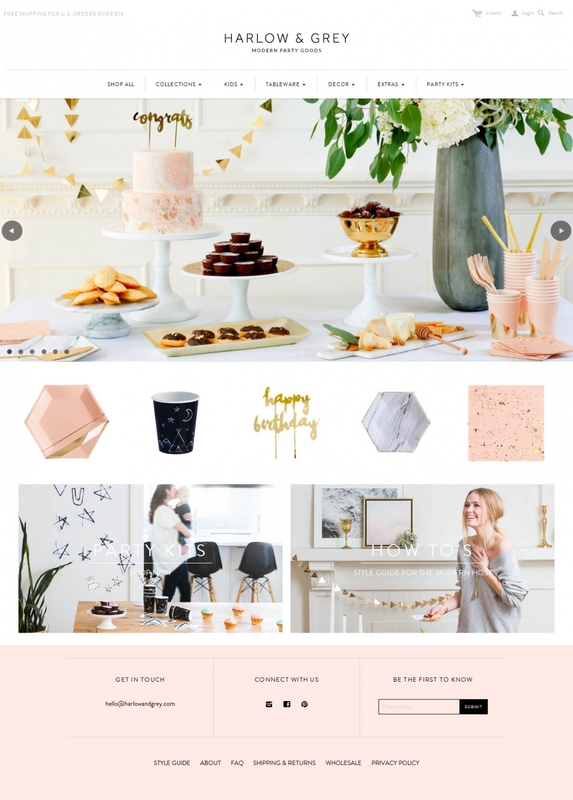 Launched in March 16', Deb took on the project and guided us through the stages of design and development. Her communication was always thorough, honest, and suggestive when we needed solutions. The dialogue of understanding design and code was key; it helped us understand the limits of Shopify and where we could push the boundaries. Deb is simply awesome. We are impressed with her technical skills, but more importantly, we just love working with her. We would definitely keep her in mind for any future projects.